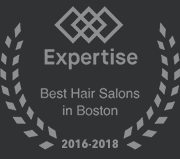 Google Reviews is a great way to spread the word about Extology Salon and share your experience at our Boston hair salon. You do need a Google/Gmail account in order to leave a Google review, but if you already have it, you are just one click away! – Lauren is great. My new hairstyle is what I need and my classmates also like it. – Allana and everyone at Extology are amazing. I have very difficult curly hair that they do miracles with. It’s like having a whole new head of hair that I always get complements on. I am appreciative for their talent and kindness! – I had a great blowout from Lauren! My hair turned out better than I even imagined it could. – I have a hard time committing to hair salons but I’ve visited this salon twice now and have had a consistently good experience. Once for a cut/blow dry and again for a gloss. The interior is cute and the service is great. Definitely has a more upscale vibe and the place smells amazing. Now if they start offering prosecco like drybar—I may never go anywhere else! – Friendly and knowledgeable staff, and an inviting atmosphere to boot (they have your preferred coffee or drink ready for you when you get there!). If you’re a guy worried about hair loss, get in here and talk about your options. My girlfriend encouraged me to go and I’m really glad I finally caved. – Kelcee cut and colored my hair and it was an amazing and relaxing experience. Kelcee took the time to make sure that she understood exactly what I wanted and looked at the pictures that I showed her. She is very detailed oriented and it is clear that she loves what she is doing! The salon is super clean and it’s definitely a welcoming environment. Thanks for your help, Kelcee! – After moving even further away from the salon I had happily been going to for several years, I reluctantly decided to find one closer. I chose Extology based on the rave reviews and booked a color consultation. Upon arrival and check-in I was given some paperwork to fill out which slightly annoyed me because this was only a consultation, not an actual hair appointment. Shortly thereafter Kelcee introduced herself. We had a quick chat about my hair goals and I made an appointment to see her the following week, which felt like cheating btw since I loved my former hairstylist. In short, Kelcee was not only extremely sweet and an attentive stylist but did an absolute BEAUTIFUL job on my hair. I completely recommend her. Five stars all the way! – I love coming here! It’s s very modern salon with great services and they use really nice products. Kelcee is my stylist and she’s amazing. She’s done several cuts and some coloring, I won’t let anyone else touch my hair now. Everyone who works here is very nice and I love that they keep my card on file and email my appointment confirmations. Small details like that feel very luxurious to me. I like coming here because I never have to worry if my hair will look good when I leave. I get a lot of compliments on the cuts I get here. – I just got my second round of extensions and am very very happy with the results. I appreciate that the staff are very friendly, offer me coffee, make sure I’m comfortable, and just create an all-around enjoyable vibe. It is a really nice way to get some self-care and feel good about my appearance. – I went to Extology after a friend of mine recommended it and I’m so glad I did. I used a Gilt City coupon, so I feel like I got tremendous value for what I paid. The stylist, Kriscia, was super friendly and helpful (and gave me a perfect cut!). I wasn’t entirely sure what I wanted to do with my hair but after chatting for just a few minutes she was able to understand what I was hoping for and she made it happen! I’m in love with my new hair and am happy to have found a salon I’ll definitely return to. I moved to Boston 4 years ago and have struggled to find a place I love enough to make it my normal spot, but Extology is it for me now. – Stylists are extremely experienced, professional and friendly. The salon is beautiful, clean and inviting. It’s a treat to visit Extology and I have always enjoyed giving them my business! – I wish I had a way to have everyone know of all the hair nightmares I have been through in the past. This has caused me such trepidation and anxiety about any new salon that I have tried..until now. I cannot express how happy I am with my tape in extensions and color that I received from Kelcee. First of all, Kelcee is an angel!! She’s not only extremely talented, but kind, patient, and attentive. She gave me my DREAM hair and I’m still on cloud nine about it. Do not doubt this salon for a second. Thank you Kelcee!!! – Extology is the best! The staff is friendly and attentive. Lauren is amazing! I never fail to leave the salon with beautiful hair and a smile on my face. – I love your new salon! Kelcee is an excellent stylist and warm and friendly person. Reception offered me something to drink immediately and checking out was effortless. I have to walk a lot further now, but it is worth the travel time. – Great service, great haircut! She was also really easy and fun to talk to, which is always a great plus! – Lauren is amazing and always does an awesome job on my hair. She is attentive to detail and has helped correct a coloring job gone bad that I had previously done. Can’t brag enough about how great of a hair stylist Lauren is all around. – Love the salon, love the staff, love the environment. Sometimes I spend 6 hours here getting extensions put in, and I always have a good time. I also would never let anyone else do my hair. If you’re looking for color, cut or just a complete makeover, this is the place. I never leave reviews unless it’s bad, but I had to promote my favorite salon. Professional, and just the best environment to spend the day in. – I went for my first visit to Extology for a cut and color with Kelcee and I can’t say enough great things about my experience. From the minute I walked through the door, the staff was friendly and inviting. The salon is beautiful and clean. Kelcee is super sweet and she did a fantastic job, I absolutely love my color, cut and style! I also loved the Unite products she used, I had to buy some shampoo and conditioner. I’ve already booked my next appointment! – Allana is a true hair/hair extension magician! Never been so happy with my hair! – Fantastic experience at this salon. I had no idea what extensions were all about but Allana took me through a detailed consultation and answered all my questions. The process takes some time but SO worth it -my hair looks full and natural – exactly what I wanted. – I have been going to Extology for 7 months now and I am very pleased. The staff is very friendly and Kelcee my stylist does a great job. My color looks great and having naturally curly is a challenge that she handles well. – If you know what you want, but can’t explain it, the girls at the salon magically figure things out!!! Amazing experience every time I go in. Great service, great atmosphere and a fun place to be. 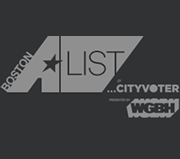 – Best Hair Salon in Boston by far! The staff is always so attentive and friendly. Kelcee Twoomey is just amazing! I have been going to Kelcee for my Hair Color and extensions for a year and everyone always compliments me on it! She is so professional and her work speaks for itself! It is always a great experience coming here! I would 100% recommend Kelcee for color and extensions! – I couldn’t be more pleased with my investment in hair extensions. Worth every penny. The entire process was explained in great detail by Allana and I felt educated to make an informed purchase decision. The new salon space is industrial chic and the staff are welcoming, helpful and pleasant. My hair looks amazing… for the first time in my life. I get compliments everywhere I go!!! – Kelcee Twomey cut and colored my hair and I don’t even have words for how great she did. Since the minute I walked in she was all smiles and very friendly. She took the time to make sure she was doing exactly what you wanted. I don’t think I will ever go to another hair stylist. Thank you Kelcee. – My experience was Ahmazing!! 5 stars! Kelcee was professional and kind. She took her time! I didn’t feel rushed! It was relaxing too! The color, cut, and blow dry were great! She gives a great head massage when she washes you hair! Can’t wait to go back!!!! – Great Salon! Kelcee did my color and cut and did exactly what I asked for. The Salon is very attentive and aims to please their clients, they use a great great product line as well!!! Very happy with this Salon and happy to support a place like this. – I’ve been going to Extology for the last 8 months and seeing Allana. I went in because my hair was noticeably thin and wanted something to help my hair grow and look healthy! Allana helped me gain my confidence back by using bond extensions! Let me tell you these extension are AMAZING and they DO NOT damage your hair! They take such good care of your hair at extology and the extensions have never damaged my hair. In fact I’ve had new hair growth all over and I am so happy with the results of these bonds! Highly recommend Allana and all of the staff at extology! Amazing experience you will see results and have healthy hair! – I have been going to extology for a year and a half. I see Allana who owns the salon. She is great and all her employees seem very talented and happy to be working there. I won’t go anywhere else. I highly recommend. – Allana and the staff of Extology are thoughtful, organized and go the extra mile to make me feel comfortable. It’s hard for me to find time for an appointment yet they always manage to find a spot for me. – Kelcee gave my hair a complete transformation! I had long, semi bleached, dead hair and she brought it back to life. Although I dreaded cutting my hair short the end result left me very relieved. She gave me the perfect cut and gave my hair color such vibrancy but balancing three shades of blue perfectly. Would definitely recommend her for anyone looking to go with a bold color or well cut hair! – I had to take a picture immediately after I left the salon. Kelcee is an amazing stylist. She is young and I was a bit surprised that she has been trained to perform to such superior standards so early in her career. As a first time client, she hooked me. I’ll definitely be returning! – Kelcee did my hair, I got a full foil and cut and it came out perfect! Exactly what I wanted for both the color and the cut. Really impressed with the work and for a reasonable price. Very friendly and relaxed atmosphere. Definitely recommend, you won’t be sorry you gave this salon a try! Will be going back, already booked my next appointment! – My experience at extology was A+, I saw Kelcee for a haircut she was very professional and fun to be around. I would highly recommend her and the salon. I will be referring kelcee to my friends and family! – I feel beyond amazing my experience here at extology my stylist Kelcee was more than polite everyone there was super hospice. Kelcee was making sure i was comfortable with everything even though she made an amazing job its a new look for me and im completely ecstatic with it thank you kelcee and everyone else for making me feel beautiful again! – This salon welcomes you in like an old friend who misses seeing you. The ambiance is relaxed and tastefully detailed.. the staff and owners are simply delightful. In my book Ashley is is a perfectionist with a creative ,artistic eye and a pair of scissors that perform MAGIC!!!.. …Do something good for yourself…call them! – Extology is a salon that offers some of the best services from some of the friendliest and stylish hair stylists in the area. I have gone through major changes with my hair from cutting 5 inches off, to dying my hair a dark brown from a dirty blonde, and all the way back to the beautiful pearly blonde hair I have today, all thanks to the wonderful Kelcee! I started seeing her when she was a junior stylist taking models, and now I’m a regular client and I cannot thank her enough for the beautiful and creative work she has done for me. I would definitely recommend going to Extology and seeing Kelcee to anyone! – Great place, wonderful service, highly professional staff. Best place to get your hair done!!! – I loved my experience at Extology! The salon is so cute. I got a great cut and awesome blow out by Alison! Yelp is a great way to let others know about your experience at our hair salon. Don’t forget to “Check-In” on Yelp using your phone once you are in our chair, we always have fun promos for anyone that does, and they change monthly so check in often! Please keep in mind that you need to have a Yelp account to review us there, and because of Yelp’s “random” algorithm, your review has a chance to be filtered out. We would still love to hear your feedback! – Allana is magic! She is brilliant at understanding your needs and solving with the best plan. I feel renewed. My hair had become so thin but now with extensions I feel like my old self with long thick hair. Everyone at the salon is so friendly and professional. The space is beautiful and light filled. Great location, easy to get to. I highly recommend Extology. – Lauren is amazing! She has always done a wonderful job on my hair, and she is very attentive to detail. I came to Lauren with a coloring job gone bad and she has transformed my hair to exactly how I envisioned it to be. I can’t say enough how great Lauren and Extology salon has been. You get beyond what you pay for here. Outstanding experience every time! – THE BEST HAIRDRESSER EVER! I can not say enough great things about the work Allana and her staff do! Excellent on time service. Allana actually takes the time to really understand what you want done with your hair and it comes out exactly how you explain it unlike other hair salons. – I highly recommend Lauren to anyone looking for a great colorist & stylist. She works her magic and you will leave feeling amazing. The shop is beautiful and all the staff are warm and inviting. – I have seen Lauren 3 times and have been happy since the first visit. Even though it was hard for me to explain exactly what I was looking for yesterday, she listened closely, and I left the salon feeling and looking great. As a redhead, there is nothing worse than going sandy grey and not being able to find a colorist that can recapture the original red. Red is VERY hard to do right. I have been at salons in NYC, up and down Newbury Street and around Harvard Square for the past 30 years (and needing to cover the grey for the past 10) and Lauren is the best colorist/stylist of the group. If you’re a redhead or want to be a redhead, go to Lauren. The new salon is beautiful and the owner and all the other stylists are wonderful. Love watching women get hair extensions. So methodical and worth the $$$ – the results are amazing. – Should you invest in hair extensions? HELL YES! Worth every penny. The entire process was explained in great detail by Allana and I felt educated to make an informed purchase decision. The new salon space is cool, industrial chic and the staff are welcoming, helpful and pleasant. My hair looks amazing… I get compliments everywhere I go. THIS is the hair I was always meant to have. Thank you Allana & team. – Allana is a master at hair extensions – she is really gifted. Everyone at the salon is friendly and professional. The new location is easy to get to and lovely. I highly recommend Extology for all hair care needs! – Allana and her team of professionals are the very best of the best. If you’re looking for the best in style, the best in Luxury, and the best in expertise, then Extology is the place hands down. I’ve been going to Extology for several months. After doing extensive research for extensions experts and color/style experts in the Metro Boston area to prepare for my Wedding this past July, I found and fell IN LOVE with EXTOLOGY! I was not only gorgeous for my Big Day- but every visit since, Allana has brought her rock star vision, professionalism, and talent to our appointments and I have never looked or felt more confident in my life! I love this crew. Each pro is wonderful. Their luxury product, modern new Salon, and all the fun you have at a visit makes Extology my #1! They should be yours too! – I’ve been going to Extology now for 9 months after reading about the salon in 2016’s Best of Boston and they truly are No. 1. Allana is the most professional salon owner I’ve ever met and I’ve been to many salons over the years to compare. Her staff is just as warm, friendly and professional. The hair products they use are amazing (Unite) and you will immediately see the results of the products they use. You will walk out of salon with shiny healthy beautifully styled hair. – I just had the best visit to Extology! Their new location is absolutely fabulous. It was super easy to make an appointment and they were very welcoming when I arrived 🙂 I got a haircut and blowout with Alison who was very warm and welcoming and did a fantastic job – I will certainly be back very soon! – Allana is an ARTIST. Allana has a HEART OF GOLD. I live in Los Angeles now but I absolutely love coming here to get my hair done whenever I’m in town to visit my father. Previously, I lived in NYC for over a decade and she’s just as talented as top stylists there. This incredible woman knows everything about extensions and how to treat your hair so it either a) remains healthy or b) gets healthy. She’s a great communicator and she actually cares, unlike some hair stylists. I’m admittedly nitpicky about my hair extensions, cut, color, etc…but I never feel like I’m a bother if I’d like something slightly tweaked. She’s just like “yup, let’s get is 100% the way you want it”. And boom! It’s done. Okay, I could go on all day about how fantastic this woman is but, bottom line: go this salon! You’ll be in terrific hands with talented, caring people who know hair. Allana has selected a team of fantastic people to work at her salon – so if you can’t get an appointment with her, you’ll still be in good hands. Kelcee (who will probably kill me for writing this) seems like Allana’s protege. She’s on the ball. And special shout out to Allie, who (wo)mans the ship expertly & empathically. – I cannot say enough about this salon – Allana is amazing. ! She transformed my daughter’s mistake of a short haircut into a beautiful long head of hair that looks completely natural. She took hours (13 to be exact) to make sure everything was perfect. It isn’t an inexpensive process, but the result was worth the cost. I had my hair cut and colored by Alison P., and I love it. Everyone that works at Extology is nice, no snooty attitude, no pushing products you don’t need. Highly recommend! – An exquisite and flawless extension expert, Allana from Extology transforms my entire look every time she does my hair. Her work is flawless. Others who have extensions themselves are shocked when they find out I do since she makes them look so natural. A master colorist doesn’t even begin to describe Allana. Often I have been stopped in the street asking who does my my color and how can they find her. She is the most knowledgeable hair professional I have ever met. Prior to Allana I was left with severely damaged hair and bald spots from another salon. My hair is now healthy, gorgeous and radiant for over ten years straight thanks to her. All of the stylists at Extology are extremely skilled and the salon is usually a buzz with the enthusiastic sharing of ideas. The salon itself is comfortable and inviting and there is a wonderful sense of comradely among all of the stylists, making the time spent in the salon fun and enjoyable. – I have been a client of Alison for eight years, and she is absolutely fantastic. She is *highly* skilled and has accumulated quite an impressive portfolio of prepping hair for professional modeling shoots. I am just a regular guy, so I make only modest demands on her considerable talents, but I like knowing that I am in the hands of a skilled and sought-after professional. Alison is a careful and thoughtful listener, and she gives her clients exactly what they request. What’s more, she always interprets requests in the way that makes her clients look the best. Alison has excellent taste herself, and after nearly a decade as her client, I also have become comfortable on occasion just letting her cut and style my hair however she wants. I always look good. Importantly, in addition to all of her professional skills, Alison has a cheerful, positive, upbeat, and absolutely charming personality. It always is a pleasure to see her, and I look forward to my appointments. – You know the salons that are very judge-y and have stylists that look down their nose at you? Extology is the complete opposite of that. The girls are incredibly friendly and knowledgeable. 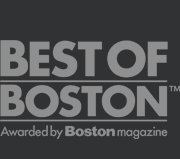 I went to get hair extensions and I totally agree with Alana and team winning “Best of Boston.” Not only is she an expert, but she gives you ALL the details and even answers silly questions without judgement. I also loved the fact that all the after-care product and brush was included in the price. The process is long but the results are worth it! The number one compliment I get on my extensions (and only after I tell someone it’s not my real hair) is how natural it looks. I highly recommend the team at Extology! – One word: AMAZING. I spoke with a friend after complaining about my hair extensions and she referred me to this salon in the North End. Lauren was AMAZING! I had a thorough consultation where she answered every question and provided every detail about hair extensions. She was extremely informed and knowledgeable. I decided on having Lauren do the extensions and her work was meticulous and the result was PERFECTION!!! The salon was also great – super courteous and friendly staff. Simply cannot recommend Lauren and this great salon highly enough. You won’t be disappointed!!!!! – I love this place! Lauren was so sweet and listened very well when I told her what I needed for my haircut. She is fun to talk with and is a super genuine, kind person. The other gal (owner I think?) was really friendly too and the salon just has a great vibe. I highly recommend Extology!! – I visited Extology after purchasing a Gilt voucher. I just wanted to trim my layers and Alison did just that, plus gave me a fab blowout. The girls here are super nice and I love how intimate the salon is. – Love my haircut – Lauren takes the time to listen and does a really really great job. Very nice, clean, small salon that I look forward to going to again! – I don’t write reviews, but I had to write a review for this place. I had the BEST experience here. I came here because I found a gilt city deal, but I’m so glad I did. From the moment I walked in both Alana and Lauren were super sweet, offering me something to drink the moment I walked in. I had a single process, hair cut, blow dry, and post-color treatment done by Lauren. SHE’S EXCEPTIONAL. I came in with about 50 photos of different dark brunette colors, and from that Lauren was able to decipher something better than my high expectations! She’s truly an artist. It’s been 2.5 days since I got my hair done, and it it’s still holding the blow dry beautifully (a big deal for my fine/oily hair). I can’t say enough great things about this place! Great color, perfect hair cut, and relaxing treatment. Do yourself and take a chance on this place! – Came here yesterday with a Gilt voucher for a haircut and had a wonderful experience with Alison. She was personable and really took the time to make sure the cut met my expectations. On top of that the salon is adorable and very clean. I would definitely return for another service here. – Lauren was amazing! She talked to me in depth about what style hair cut I wanted and did exactly what I was looking for. She was also super sweet! – Allana is truly the extension doctor. She is the most knowledgeable stylist I have ever met. I was a little apprehensive about getting extensions again due to the horrible experience I had at another salon. On my first visit, Allana inspected my hair for the quality and quantity to see if my very fine hair would work with the bonded extensions. She put a few in my hair and I waited two weeks to see how my own hair did with them. I will tell you ladies now, she is the FIRST stylist I have ever gone to for extensions that did a trial before. Most salons will just put them in your hair without testing out how strong your own hair is. I have had them for two weeks now and could not be happier with not only the quailty of the extensions but how awesome I am feeling about my new do. Thank you Allana for giving me the confidence to rock my locks. – I followed Lauren here from the salon she worked at before. I am SO glad I did. Not only is Lauren THE best stylist I’ve ever had, but Extology is a wonderful salon. It’s clean, stylish, and comfortable. As soon as you enter and walk downstairs you know you’re in for an aesthetic treat. I always leave feeling great and get the exact cut and style I want. – This salon is a secret gem! A super cute and modern setting on the Waterfront and when you come in you are greeted with the friendliest faces. I have been to salons all over Boston and NY. I have very fine frizzy long hair that has seemed to be impossible for stylist to work with since I was 13 and puberty gave me curls. I was lucky enough to have had Lauren do my hair now several times! She is an absolute doll and so knowledgable. She taught me what products to use to keep my color vibrant and shiny until my next color and she is always able to blow out my unruly hair into soft and smooth flips that last me all week. My hair will be in her amazing hands from now until forever!!!!!!!! – I get color every three weeks and a haircut every few months, so yes, I’m pretty qualified to give an opinion :)) Allana is my stylist, and she’s amazing. She knows exactly what I like, and more importantly, listens and understands when I want something new and different. There is another stylist there, Lauren, who is also amazing (I’ve see her work 🙂 and she does this incredible head massage, I have goosebumps every time. They are both super professional and make sure their clients are always comfortable. The salon is small and very pretty and cozy, and with a big selection of teas, I don’t mind spending time there on a cold day. Plus, as other reviewers mentioned, all clients are super nice, so we do spend all the time talking about anything and everything. – I went to Extology salon back in April for a consult for Allana, because my hair was ruined from a bad bleach job. We decided to go a lil darker to give my hair a rest from the blonde. She was able to add blonde extensions to give my hair the look I wanted. Now 6 months later my hair is healthy and growing again. 🙂 I’m so happy I listen to my husband (this time) who said ” YOU GET WHAT YOU PAY FOR”! Allana is a Triple Threat! GREAT at Color, Extensions & Cutting hair. – I’ve always known that Lauren does color like no one else – she somehow creates depth within my thinning hair, and makes it look like she used a couple of colors so it doesn’t look like the color is painted on. Always looks natural. This week Lauren did extensions for me and OMG – it looks absolutely fabulous!!! My hair looks fuller and is now much longer – and the color matches exactly with mine. I don’t feel any pulling and I haven’t lost any of the extensions through brushing my hair. I can sleep just fine, no discomfort. Lauren expertly applied the extensions and feathered them in perfectly with my hair. There is no way anyone would ever know it’s not my own hair. It’s soft and shiny, easy to take care of. I can’t tell you how happy I am!! Lauren’s expert touch and attention to detail are second to none. I love the Extology salon – they’re truly top notch, and they use the best products. The extensions are real hair with keratin bonds, so they don’t damage my hair. I’m always so relaxed when I’m there, and I feel they really care about not only my hair but about me the overall experience I have. Every time I walk out of there I feel like a new person! You need to try this salon, even if you think you’re happy with where you go now. You will definitely have an experience here that will have you coming back again and again. – A friend recommended that I visit extology salon to see Lauren. I got a cut and full foil and the results were fabulous!!! The products that she used were great and smelt awesome. I love my hair and got so many compliments on it. I will definitely be returning, Lauren was the sweetest and made me feel so comfortable. I highly recommend this salon! – Awesome experience!! The salon is adorable and I so felt comfortable. Allana did my color and haircut , couldn’t be happier with the results. I didn’t feel rushed like I have at other salons. The other stylists and customers we very friendly and we all talked the whole time 🙂 I will definitely be back . Another popular spot to read and leave reviews; Facebook. Once you visit Extology’s Facebook page, you can click on the star rating, after that you will get a pop-up asking you to type up your own impressions of our salon. Oh, and if you haven’t liked our salon’s Facebook page yet, what are you waiting for? It’s a great place to see the hottest hair trends, read our product reviews, tips and recommendations, our team’s latest hair portfolio “before and after” pictures, as well as any upcoming specials we might have in our North End salon location. No matter which platform you choose to write a review, we will be very grateful, and so will any client who hasn’t been to our salon yet. – Allana you are a incredibly talented individual and you have assembled the best team! I always have a blast spending the day with you and everyone at the shop…of course you make me look my very best, too. Thank you! – Allana is fabulous. I am willing to brave the commuter rail on a rotten weather day and trudge through the snow to Extology to get my hair cut. I do that because I know it is worth the time and trouble. Allana takes her time and great care to do a wonderful job every time. – I actually avoided mirrors until Allana masterfully created a new look for me with extensions. I couldn’t be happier. The afternoon until evening we spent together flew by because of fun conversation. Thank you, Extology! Review By Nik Ki K.
– Most knowledgeable, nice, caring group of women I have ever met!!! They make you look fabulous and feel fabulous 😉 I wouldn’t go anywhere else now that I’ve found them! – Allana is a true miracle worker and that is a grave understatement. She listened to exactly what I wanted and was able to deliver on everything and surpass my greatest expectations-from color to extensions. I have always had thin hair and she was able to give me the full, voluminous blonde bombshell hair I’ve always wanted. Not only is she an incredible stylist and hair professional, she’s as beautiful inside as she is on the outside and I couldn’t imagine a better person to spend over eight hours getting my hair done with. Wish there was an option for more than five stars, but even if there was, that wouldn’t be enough to reflect on the excellence of Extology. – This salon is fantastic! The atmosphere here is upbeat and the staff here are super friendly and welcoming. The staff really lookout for what is in the best interest of what you are looking for and make great accommodations. Not only is it a relaxing environment but there is a lot to offer at this salon as well. If you are looking to treat yourself for a day this is the place to go. My stylist i go to is lauren McDonald. She is super friendly and does a fabulous job on coloring hair and styling. I’ve always been up for doing dramatic changes as well as more modern and simple and she is able to transform one from the other. She does a great job with suiting what you are looking for. I always leave this salon feeling great and ready to go out for a fun night to show off the new do! Hours are really great here for booking appointments especially for those who work full time and cannot get time during the week to get an appointment i was able to book an appointment early on a Saturday morning which is great to be ready for any event ill be going to that following day or night! prices are reasonable and the color lasts a long time i can usually go three months until booking my next appointment. location of salon is also convenient it is in the north end of boston. There is pleanty of parking available and other stores and shops near by so after a great day at the salon you can even spend a day walking in downtown boston with some retail therapy. I highly recommend booking with this salon! all in all i love it!